As bicycle proponents, it is often difficult to take a step back and view the topic of bicycle accidents and bicycle safety from an unbiased perspective. However, the truth of the matter is that cycling is dangerous sport and biking to work comes with many potential hazards. Countless theories and studies exist to both support and oppose the benefits of bicycling. From biking to work to jumping on a bicycle for a quick errand, sharing the road has historically been a serious issue for the majority of motorists. Seems pretty simple, right? 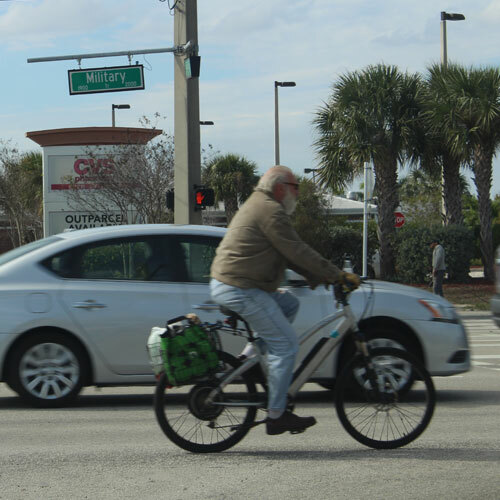 Unfortunately, while the health benefits of consistent bicycle riding is clear, these studies fail to mention the incidence of accidents with both motorists and pedestrians. The United States Department of Transportation estimates that 2 percent of all traffic-related deaths involve bicycle travel. In fact, the majority of studies indicate that most riders have experienced at least one injury during their bike commute in their lifetime. With so much conflicting data, it is often difficult to determine whether or not bicycle commuters place themselves in a safer or more dangerous situation. However, one thing is for certain: the more people choosing bicycles as their means of transportation, the safer all roads in American become. As more and more individuals choose to commute via bicycles, motorists are adjusting driving habits, accident rates are remaining stable, and the number of cyclists continues to grow. Are you ready to become a bicycle commuter? Now is the time to start! May is National Bike Month, so get your helmets on and go, go go!